Montgomery competed in three events at the Houston Alumni Invitational, claiming three events titles and two meet records in the process. 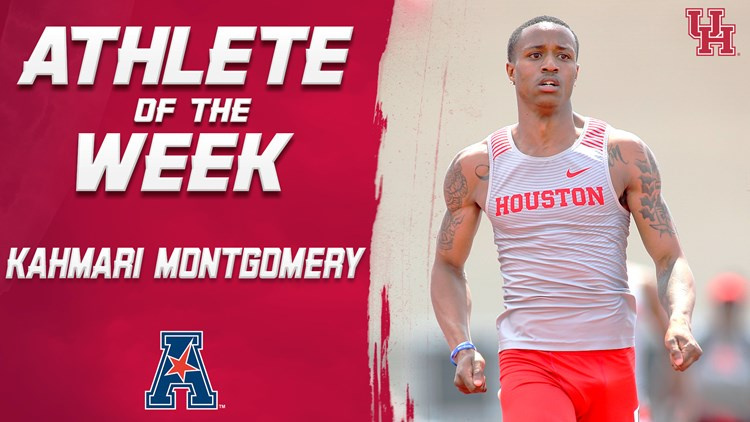 Montgomery clocked a nation’s best time of 20.41 to win the 200, while clocking a meet record of 45.96 to win the 400, good for The American’s best time this season. He closed his day running the anchor leg on another meet record, the 4x400 relay, in a time of 3:09.45 a time that would rank No. 2 in the conference behind Houston’s top current ranking. 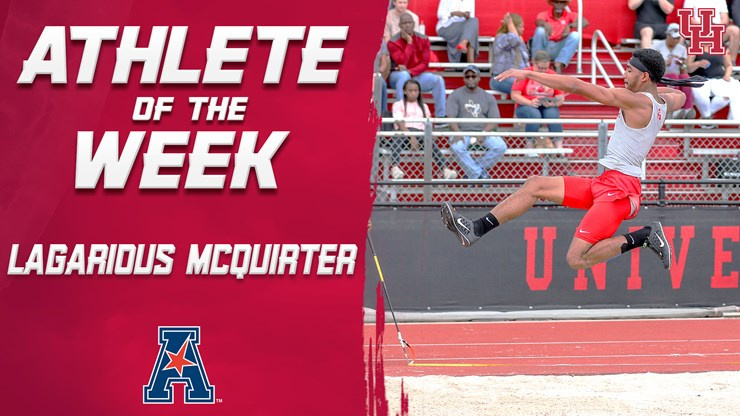 McQuirter finished first among all collegiate athletes and second in the field overall as he had a top jump of 25-8.00 (7.82m) to move up to No. 7 nationally and take The American’s lead in the event by nearly three inches. For Houston, the awards are the fifth and sixth of the outdoor slate and give Houston 17 total weekly awards this season.